EXPERIENCE THE BEAUTY OF MAINE’S RUGGED COASTLINE AT THE ATLANTIC OCEANSIDE HOTEL & EVENT CENTER. Our beautiful Bar Harbor hotel is situated on 12 acres of oceanfront property, just one mile from Acadia National Park and the shops and restaurants of historic downtown Bar Harbor, Maine. 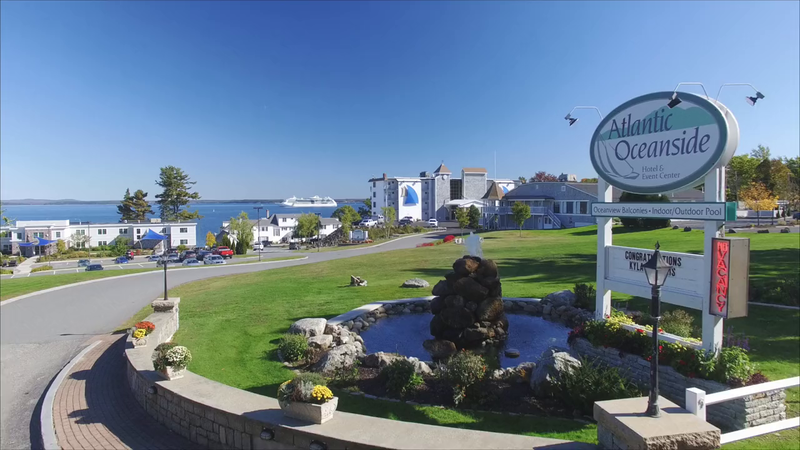 With stunning ocean views, waterfront access to gorgeous Frenchman Bay, modern amenities, indoor and outdoor pools, and special vacation packages, the Atlantic Oceanside Hotel is the perfect place for an idyllic Maine getaway. Six Unique Buildings. One Stunning Ocean View. Located just 200 feet from the water’s edge, our Main Building offers expansive views of the bay and houses our Bistro Restaurant, continental breakfast room, indoor pool, hot tub and exercise room. Premium modern accommodations and beautiful views of the bay with easy access to our private pebble beach. Spacious rooms only 100 feet from the rocky Maine coast. The Willows is an enchanted historic escape that offers a taste of classic Maine. Explore, Play, or Just Unwind. Plan your dream Maine wedding at the Atlantic Oceanside Hotel. The Atlantic Oceanside Hotel & Event Center is Downeast Maine’s preferred business meeting and special events center.